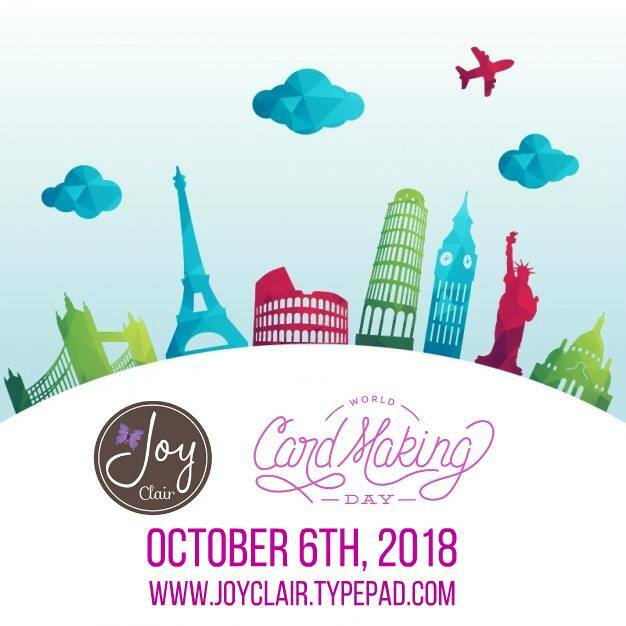 Celebrating world card making day with Joy Clair stamps. Visit the blog, take part on the challenges and win prizes! Find more information below! Using Joy Clair Hugs and Smile stamp set, I stamped the design on a heavy card stock using VersaMark ink and the covering with silver embossing powder. I color it with MEMENTO pens. Then cutting a piece of aluminium sheet, I placed on the back of it and opened holes for the strings. 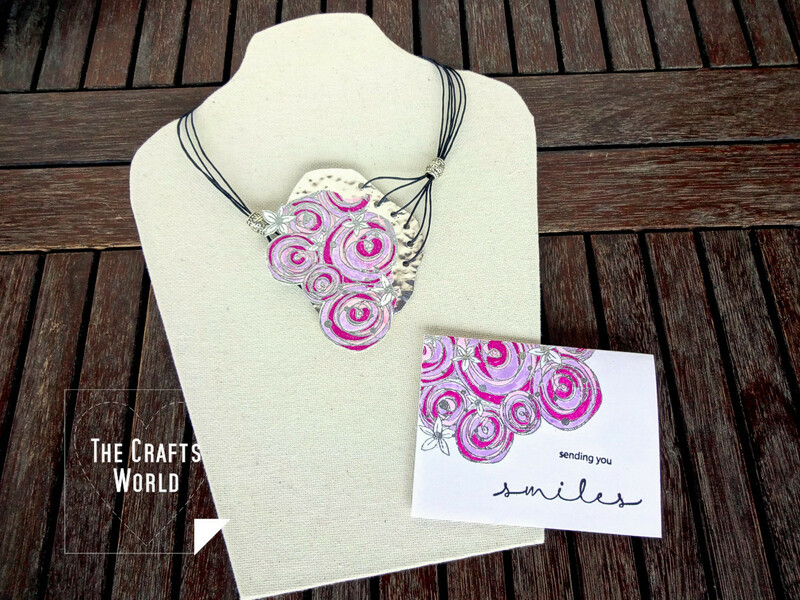 The little card follows the same procedure on stamping and embossing as the necklace. We’re giving away three Stamp sets from Joy Clair Store! Just leave a comment on every destination along the Hop to be in with a chance to win! Don’t forget that we have a lot more going on the rest of the day! We hope to see you back here for the new events – there will be lots of opportunities to be inspired and to get crafty with us! Love what you created ~ stunning!! How very creative! I am impressed. These are just lovely. 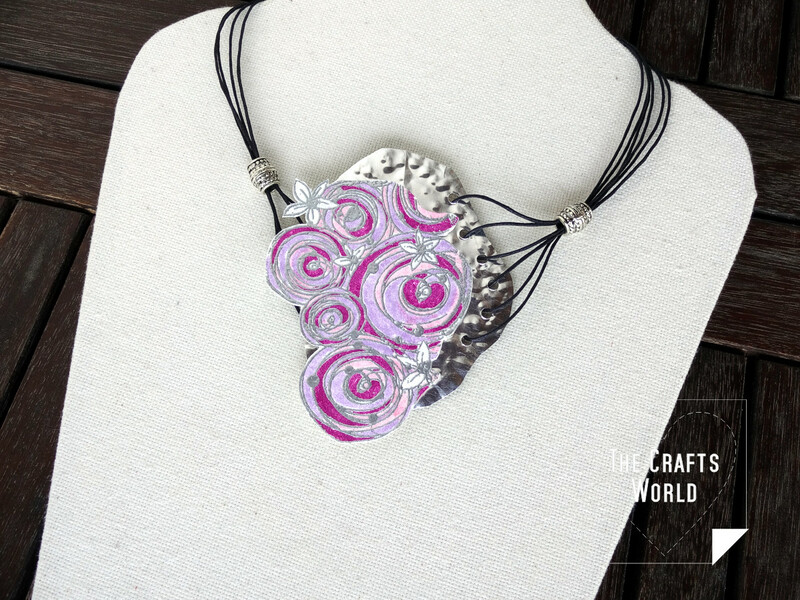 So pretty, you always make the prettiest jewelry! Love it!! That is so beautiful and unique! How creative you are….beautiful work! Happy World Card Making Day! Love the stamp you used! Very creative!